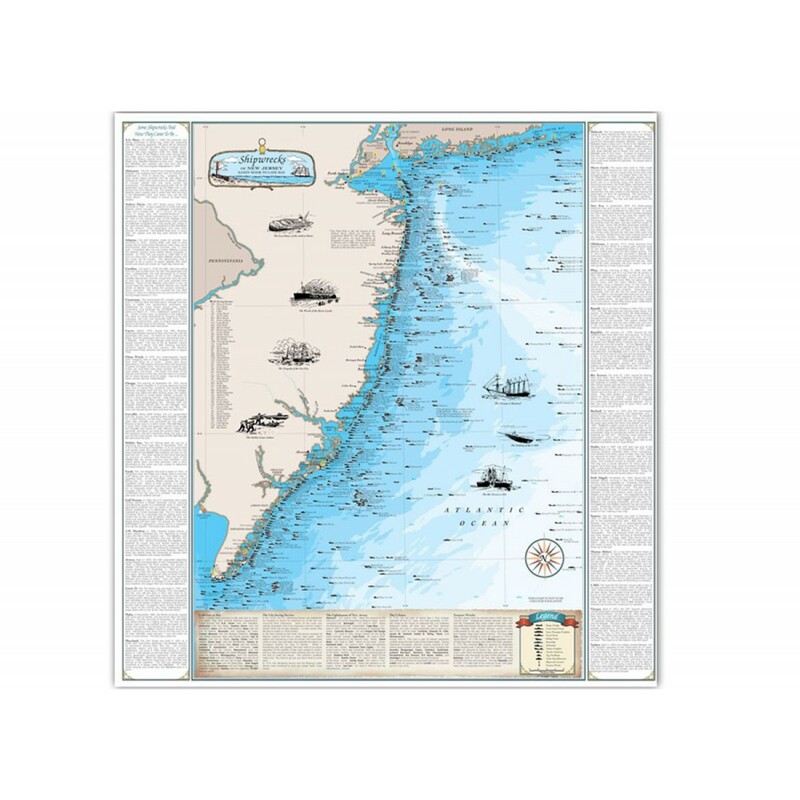 Go on an epic nautical adventure without ever leaving your home or office with the New Jersey Shipwrecks: Sandy Hook to Cape May map! 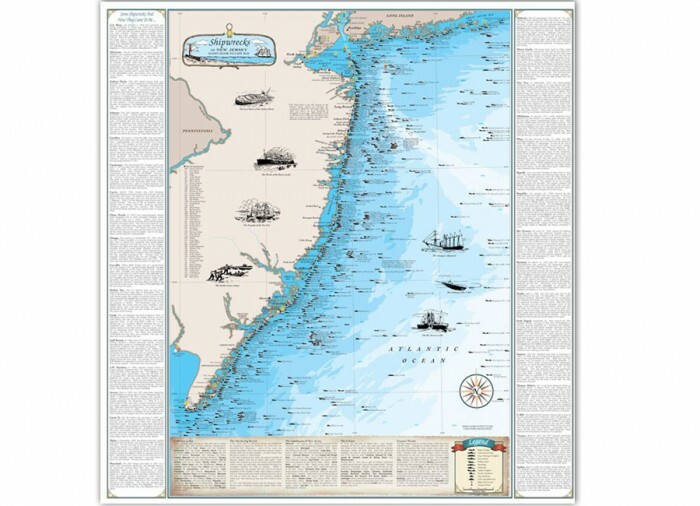 This wonderful map includes the most famous shipwrecks to ever hit the coast of New Jersey. 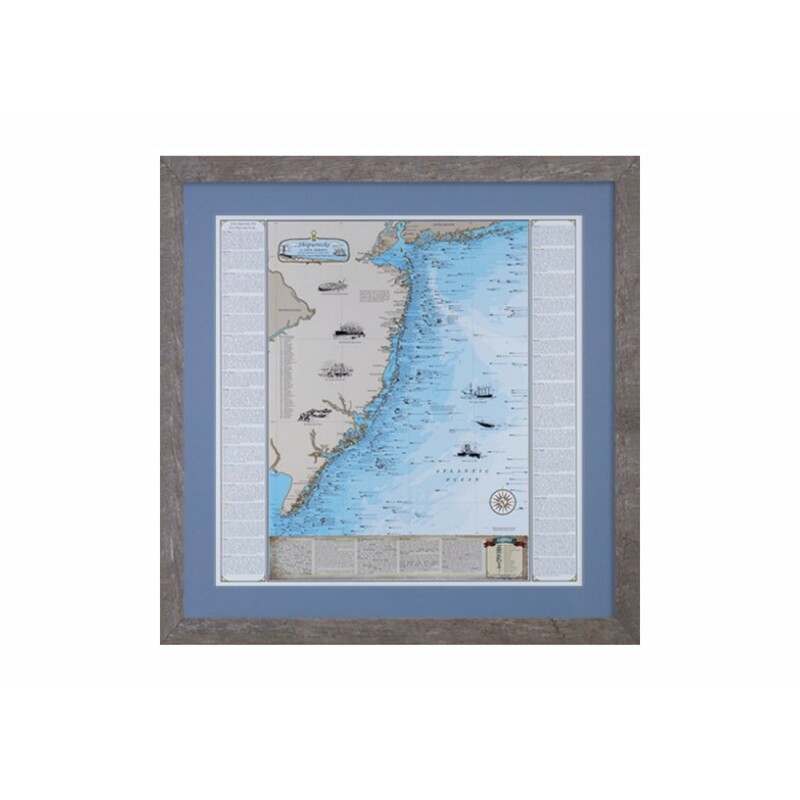 It includes stories and drawings of the Andrea, Doria, U-869, Vizcaya, Morro Castle, Sinia, New Era and Rio Tercero! 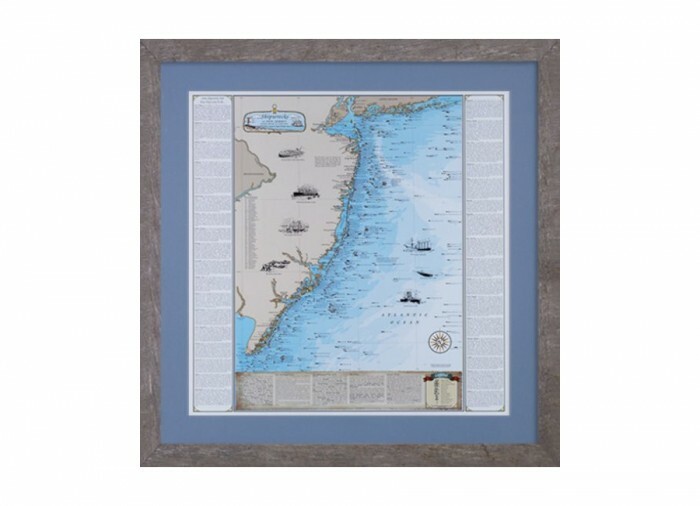 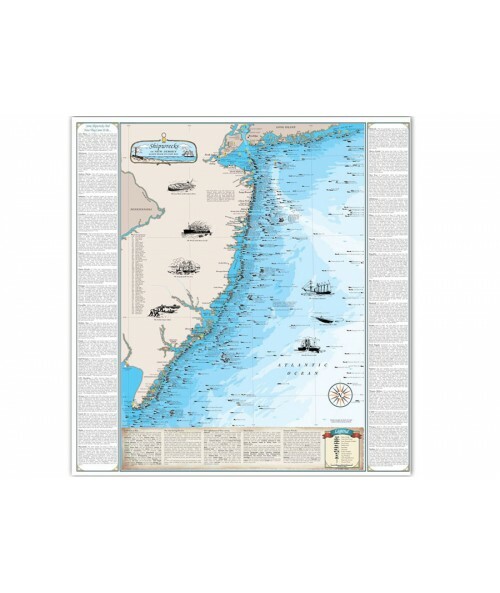 Fans of nautical history will love the fully-colored maps and can choose between a plain paper or high gloss laminate version.